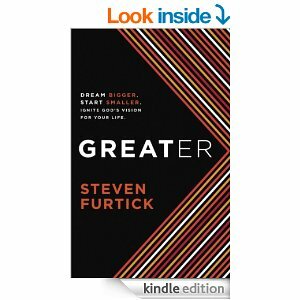 Greater by Steven Furtick book review. The book as the title suggests is about doing greater things. Not necessarily a large project but to just look at your day-to-day life and how to do it well. It is a very light-hearted easy read. Furtick uses a lot of pop culture stories and keeps your interest throughout the book. If you are stuck in a rut this would be a good read for you. If we all took Furtick’s advice this world would be a better place. I would give the book 3 out of 5 stars. This entry was tagged book review, Steven Furtick. Bookmark the permalink.